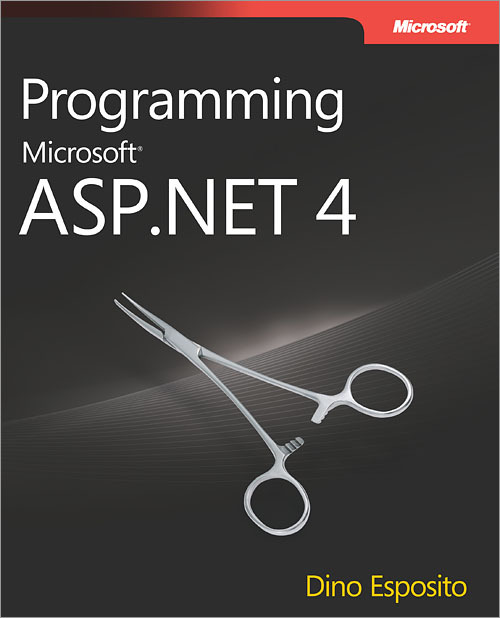 Completely reengineered for ASP.NET 4—this definitive guide deftly illuminates the core architecture and programming features of ASP.NET 4 in a single, pragmatic volume. Web development expert Dino Esposito provides essential, architectural-level guidance, along with the in-depth technical insights designed to take you—and your solutions—to the next level. The book covers Dynamic Data, AJAX, Microsoft Silverlight®, ASP.NET MVC, Web forms, LINQ, and security strategies—and features extensive code samples in Microsoft Visual C#® 2010. Dino Esposito is a well-known ASP.NET and AJAX expert. He speaks at industry events, including DevConnections and Microsoft TechEd, contributes to MSDN® Magazine and other publications, and has written several popular Microsoft Press books, including Microsoft ASP.NET and AJAX: Architecting Web Applications. View Dino Esposito's full profile page.